If you are a frequent traveller you’ll no doubt know all too well the difference extra convenience and comfort makes when flying. Airline lounge membership gives you the space to work or rest ahead of a flight whilst saving you and your business money on airport food and beverages. Corporate Traveller offers discounted airline lounge memberships with both Virgin Australia and Qantas. Access1st users will receive discounts on joining and renewal fees, meaning you can enjoy lounge access at a much reduced cost. Lounge memberships pricing are correct as off May 2018. A $25+ GST processing fee will be charged in addition to the membership fees. Simply contact Jamie and the team at Corporate Traveller referencing Access1st. You must be a frequent flyer with the respective airline to purchase lounge membership. 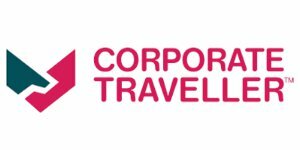 Corporate Traveller can assist with complimentary Virgin and Qantas frequent flyer memberships when purchasing lounge membership, saving you money on their joining fees. Remember - you can use the Flight Centre team to organise your travel and accommodation requests, too. Details on the Access1st Flight Centre offer can be found here.